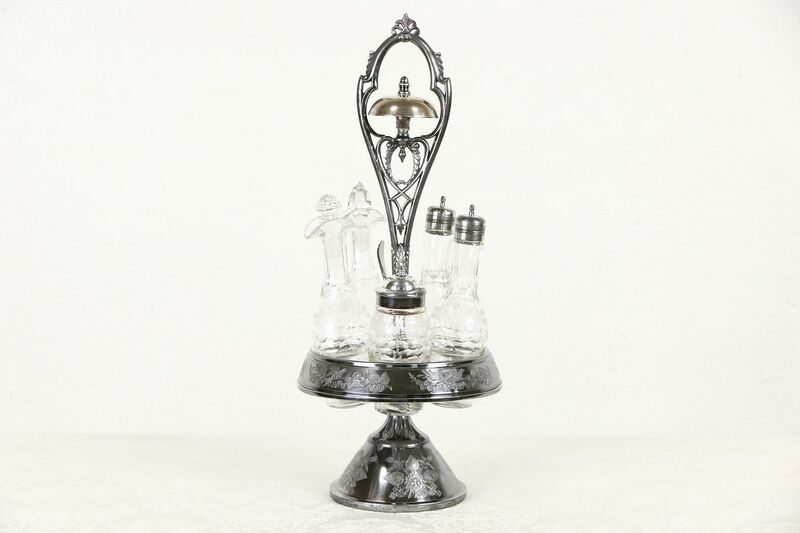 A Victorian silverplate "Castor" or condiment set has a bell on the handle to ring for servants. On the handle is engraved "Pat. Dec. 7, 1869." Five blown and etched bottles have minor rough spots, one stopper is a replacement with a chip and there is a chip through the side of the mustard jar. The delicately engraved stand has a few dents and dings and an almost pewter cast, it appears to have been lacquered, see photos. There is no signature on this American made antique serving ware.